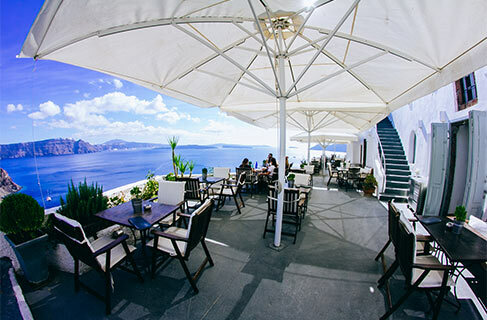 All day restaurant and café, located at one of the most privileged positions in the caldera in Oia. Mediterranean, Greek and Cretan tastes and flavors, combined with a spectacular 2180 view, are waiting for you at this unique spot. From early in the morning for your coffee, breakfast and snack until late in the evening.